Kane Award Winner Shares Her Experience | Kane Manufacturing Company, Inc. 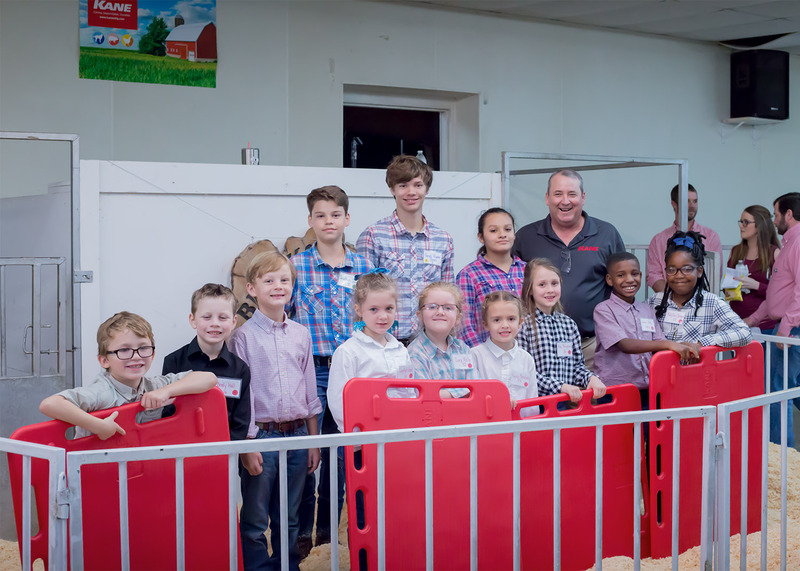 Earlier this year, Kane Manufacturing was proud to sponsor the Brooks County, Georgia Annual Hog Show. As part of our sponsorship, we awarded a gift certificate to the show’s winner, Miss Jenna McBee. 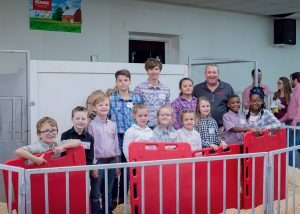 Garry Childs distributed Kane Sorting Panels to the children participating in this year’s Brooks County Hog Show in Quitman, Georgia. 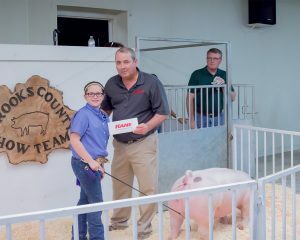 Garry Childs awarded a Kane Gift Certificate to Miss Jenna McBee, whose hog was Grand Champion of the 2018 Brooks County Hog Show in Quitman, Georgia. 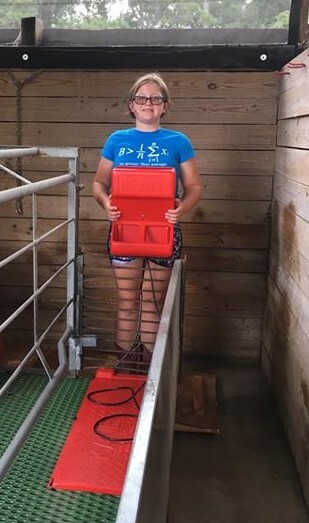 Jenna McBee of Quitman, Georgia posing with the Kane Heat Mat and Creep Feeder she purchased with her gift certificate. We congratulate Jenna McBee and we wish her every success with her first litter of pigs. We at Kane Manufacturing are happy and proud to support youth hog shows and the many wonderful young people who will be our future farmers.